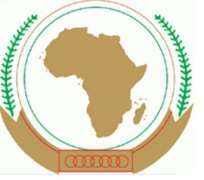 ADDIS ABABA, Ethiopia, September 19, 2013/African Press Organization (APO)/ -- The Chairperson of the Commission of the African Union (AU),Dr. Nkosazana Dlamini Zuma, continues to follow closely the evolution of the transition process in Guinea‐Bissau. The Chairperson of the Commission notes with satisfaction the significant progress made in recent months, thanks to the political consensus reached by the Bissau‐Guinean stakeholders. In this regard, she notes the establishment of a more inclusive transitional government, the election of the President of the National Electoral Commission, the establishment of the National Commission for Planning and Strategic Coordination and the revision of the Electoral Code. The Chairperson of the Commission also notes the decision by the Bissau‐Guinean authorities to use an improved manual voter registration system, for the establishment of the electoral register for the upcoming elections. She encourages the Bissau‐Guinean stakeholders to persevere in their efforts to ensure the success of the transition and address the other challenges facing their country. In view of the above, and considering that the transition period expires at the end of December 2013, the Chairperson of the Commission appeals to all AU Member States and international partners to urgently provide the financial and other necessary support to enable the successful organization and conduct, within the envisaged timeframe, of free, fair, transparent and credible elections that would mark the completion of the process towards the restoration of constitutional order. She welcomes the pledge made by the European Union to provide a financial contribution. Community of West African States (ECOWAS) and to its Chairman, President Alassane Dramane Ouattara of Côte d'Ivoire, for the efforts being deployed in assisting Guinea‐Bissau to successfully complete the current transition and promote lasting peace, stability, development and democracy in the country. She welcomes the important work being done by the ECOWAS Mission in Guinea‐ Bissau (ECOMIB). The Chairperson of the Commission also reiterates the commitment of the AU to continue to support the transition process, including the electoral process. Similarly, the AU will continue to raise awareness and engage the international partners to ensure that they effectively accompany Guinea‐Bissau and help it to successfully overcome the many challenges facing the country and address the root causes of the recurring instability in the country. In this regard, she stresses the importance of continuous and close coordination among international actors, particularly in the context of the two joint assessment missions to Guinea‐Bissau undertaken under the AU's auspices, in December 2012 and in July 2013.